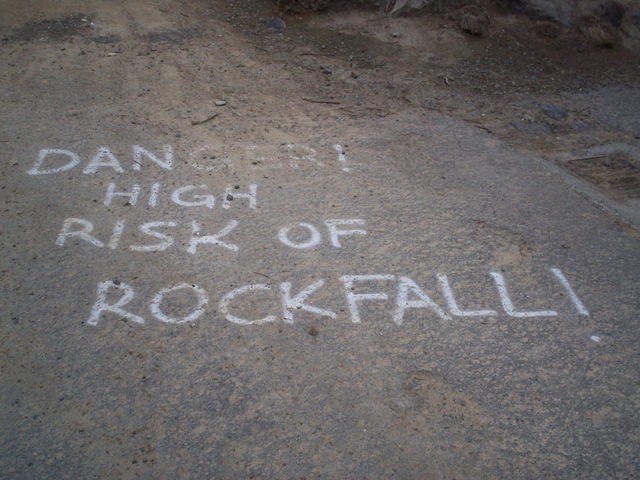 This page is getting a lot of hits from people clearly curious about the fate of Castle Rock in the 2011 earthquake. The article and images below refer to the the 2010 earthquake. Like the rest of you, I heard Robin Judkins on the radio and quoted in the NZ Herald saying that Castle Rock “exploded”. I will try and bike over there in the next couple of days and post an update on this Christchurch landmark and classic cragging destination. It is certainly not the biggest tragedy of the Christchurch earthquake, but a suburb has been stunned and for a select group of athletes in Christchurch it is a sad loss. 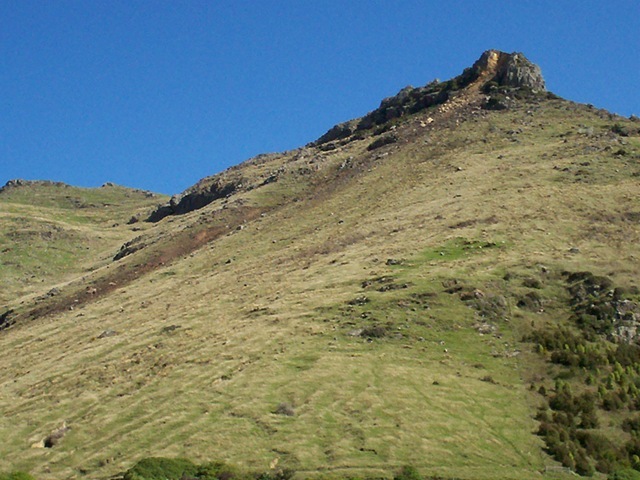 Castle Rock, perhaps the most significant and widely recognised of the natural features of the Port Hills, lost a huge section in the earthquake. A massive block detached from Castle Rock and hurtled into Heathcote Valley, slaughtering two cows in the process. I visited Heathcote Valley today. After the post-quake demolition of the Valley Inn Tavern, the Castle Rock avalanche is the second-most talked quake event in the Valley. It will be difficult to get a sense of scale from the video and photos. The block split into two before it came to a halt. Each half is at least the size of a house. As a couple of sightseers remarked to me today, imagine the cataclysmic noise the block must have made as it crunched its way down the valley. For rock climbers it is a sad loss and a signifier of the caution that they must exercise in coming weeks. The block that detached was a climbing area used by hundreds of local climbers over the years. It was known as Watchtower Face. Fortunately, in common with other east side features of Castle Rock, its damp, lichen clad rock was significantly less popular than the northern and western faces. But for rock climbers, although Watchtower Face may not have been the most popular of faces, it serves as a clear warning that Port Hills rock climbing should be avoided for a while yet. 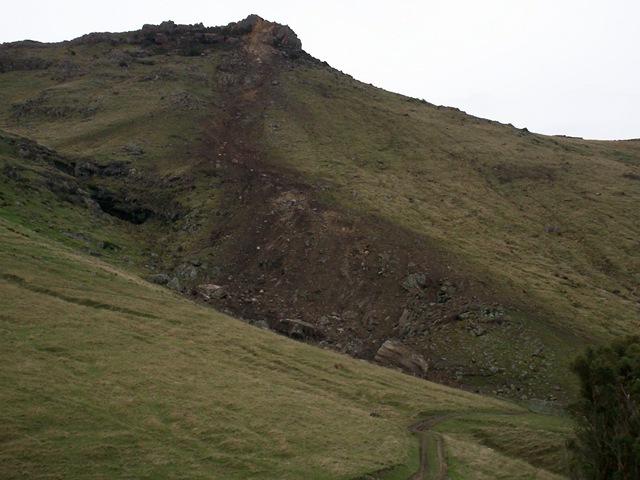 There will be many loosened features creating significant hazards on the many popular crags dotting the Port Hills. For those thinking about the possibility of new routes on the reconfigured features, it may already be too late. Heathcote residents informed me that they had already seen people climbing on the fallen blocks. It seems that the very real risk of being seriously sconed by falling debris was not enough to stop a reckless attempt at being the first to establish new climbing routes on the fallen slabs.